From the day of its foundation in 2003, GEOTECH Company has been constantly increasing its activity both in engineering geophysical surveys and promotion of advanced geophysical equipment. Being a widely recognized Russian leader, in our work, we hold the strategy based on the concept of hi-tech development and best Russian tradition of engineering geology and geophysics. During its existence the company has accumulated solid material resources enabling the solution of complex problems by various methods depending on customer's demands and has put together a team of responsible, obliging and result-oriented professionals who transform problems and difficulties of any project into new possibilities for development of our customers. 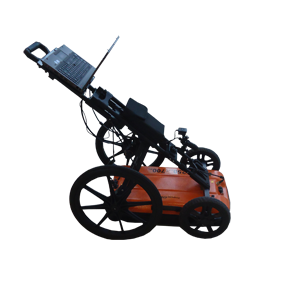 This GPR system is designed to locate the depth and position of utilities such as pipes, cables, reservoirs and drainage systems in a variety of soils at different depths. "CartScan" software allows its user to display all information on Google Earth.. The OKO-2 GPR Road Set was designed for non-destructive inspection and analysis of road structure. 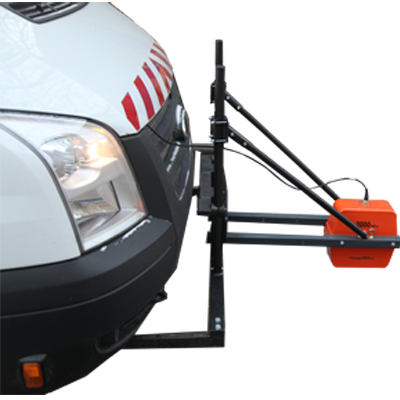 The OKO-2 GPR Road Set uses special horn antennas (400-1700MHz) suspended above ground level and fixed to the vehicle by car suspension. The complex offers the users the single-channel and multi-channel solutions for high resolution survey up to 80 km per hour Geotech has a big experience of geophysical research on highway and collaborates with the leading Russian Road Companies.. The multichannel GPR complex was designed for monitoring the state of the ballast section and upper layer of the natural bed. APPLICATION •Determination of the railway embankment width and structure content •Allocation of subsidence in the ballast and natural bed layers •Determination of the natural bed •Mapping underground pipelines crossing railway embankment •Control of conformation of railway embankment structure to the project documentation. Construction Scan 1700 is a portable all-in one GPR solution designed for automated localizing defects in a wide variety of wood,brick and reinforcement concrete structures, at depth of 1 m.. 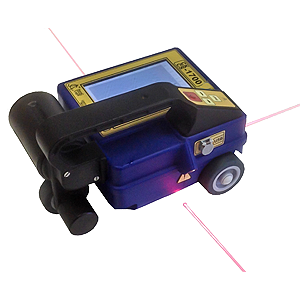 The GPR-Detector R0-400 is a portable and easy-to use GPR security solution, designed for locating moving people behind reinforced-concrete walls and multi-layer building constructions in real time.The main feature of GPR-Detector is its ability to clearly and effectively define an object through several walls.. 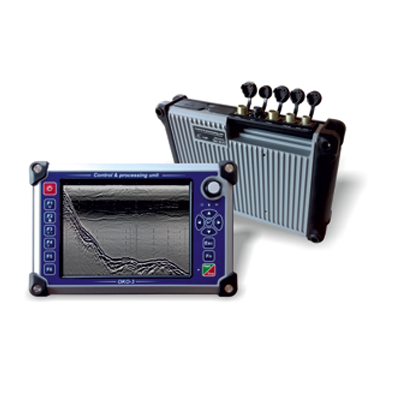 The OKO-3 GPR is a portable lightweight low-prices system designed for non-destructive environmental monitoring. 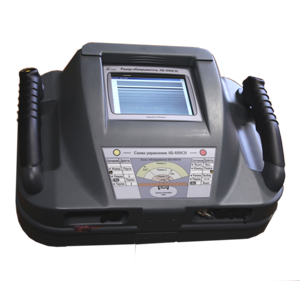 The OKO-3 GPR includes control unit or control processing unit and antennas. 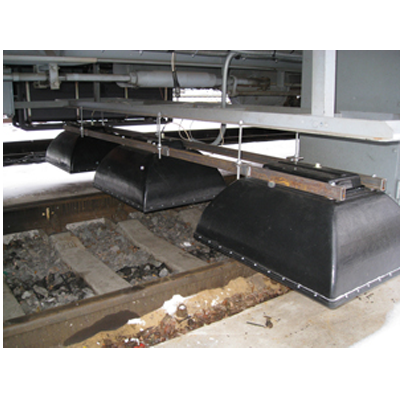 All antennas are interchangeable and meet the needs of a broad range of applications..